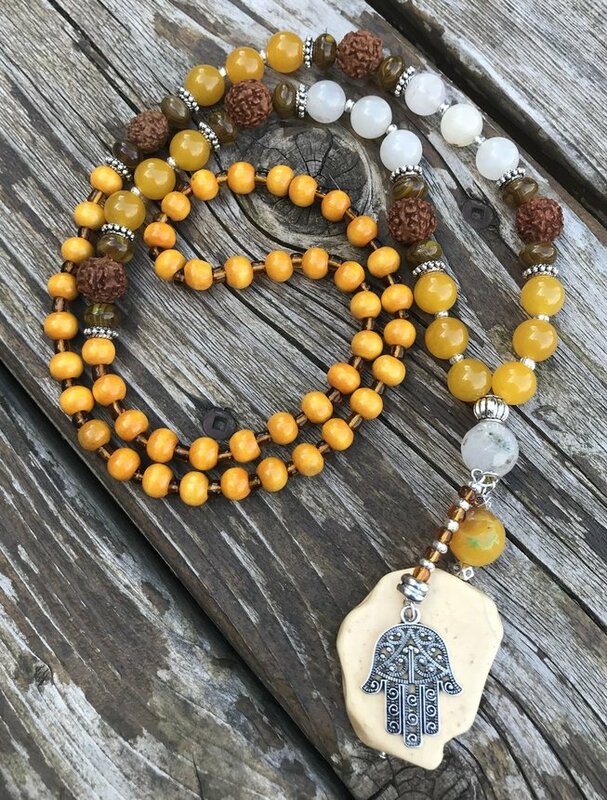 This is one of our favourite necklaces… Was made it with yellow and white high-quality gemstones, Rudraksha beads and wood beads…. 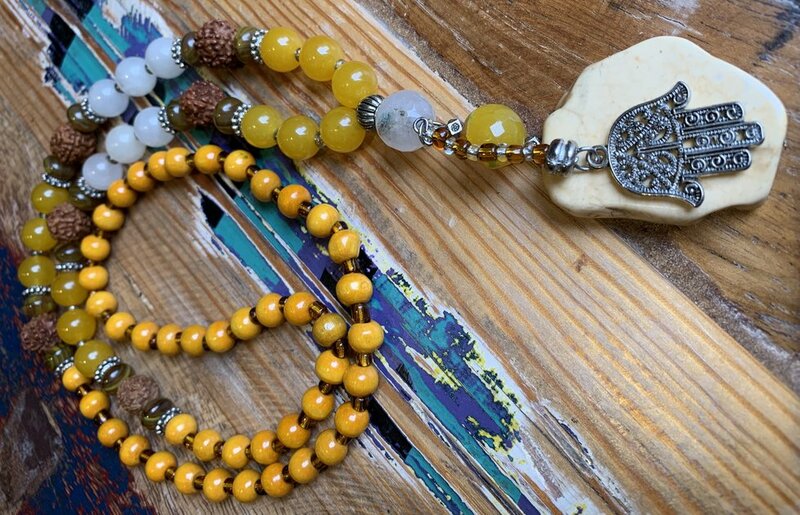 it has a charming natural stone pendant and a little touch of Hamsa Charm. The necklace is 18” from the top to the end of the pendant. 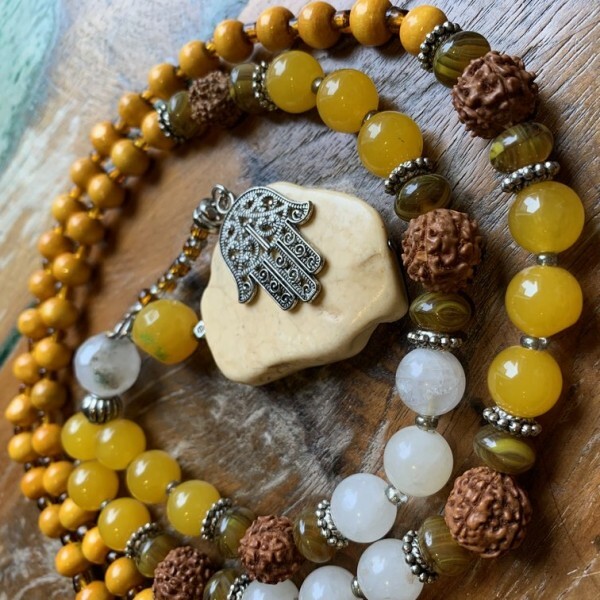 All materials that were used from reputable sources and we take great care to cleanse and treat gemstones with the most love and respect while was making the mala. 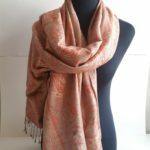 Made with natural stones, exact sizes, shapes and colours may vary. All photos were of my jewellery in natural light to show their true colours as much as possible. SKU: KOL42. Category: Gift Set, Gifts For Her, Gifts For Him, Gifts Unisex, Jewellery, Necklace. Keywords: Handmade, Meditation, Yoga, Necklace, Rhodonite, Rudraksha, Seed Beads, 108 Wood Beads, Japa, Mala, Hamsa Charm.